FOX has today ordered a second season of their hit Lethal Weapon series. David Madden, President, Entertainment, Fox Broadcasting Company, made the announcement this morning. The Lethal Weapon series reimagines the hit movie franchise, following the classic cop duo of Riggs (Clayne Crawford, Rectify) and Murtaugh (Emmy Award nominee Damon Wayans, My Wife and Kids, In Living Color), who work a crime-ridden beat in modern-day Los Angeles. Grief-stricken after the loss of his young wife and unborn child, ex-Navy SEAL-turned-detective Martin Riggs moves to California to “start over” at the LAPD. He’s paired up with Roger Murtaugh, who’s just coming back to the job after a near-fatal heart attack. Riggs’ penchant for diving headfirst into the line of fire immediately clashes with Murtaugh’s prudent, by-the-book technique. One has everything to live for, the other has nothing to lose. 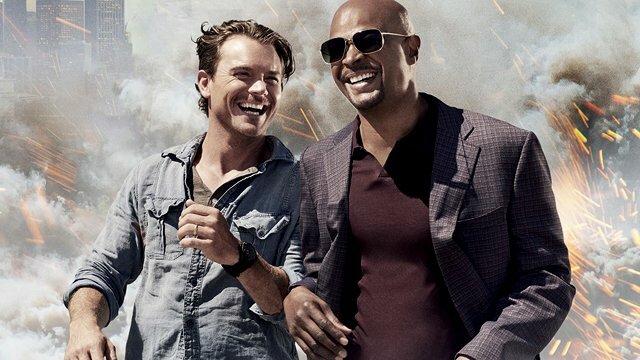 The Lethal Weapon series delivers a total Multi-Platform average audience of 11 million viewers and ranks among the Top 5 new series this season. In tonight’s all-new episode, titled “Unnecessary Roughness,” a murder involving a high school football phenomenon draws Riggs and Murtaugh into the lucrative – and corrupt – world of college recruiting. Meanwhile, Murtaugh considers a big change in his professional life, and Riggs contemplates an even bigger shift in his personal life, as he spends more time with DEA Agent Karen Palmer (guest star Hilarie Burton). Catch it at airing 8:00pm ET/PT on FOX. All episodes of the Lethal Weapon series are available on FOX NOW, Hulu and On Demand.